All the little Halloween creatures won’t be able to keep their hands off these luxury Halloween pumpkin cake pops designed especially for Halloween! Order yours today to see how you can make a special person’s Halloween wishes come true. 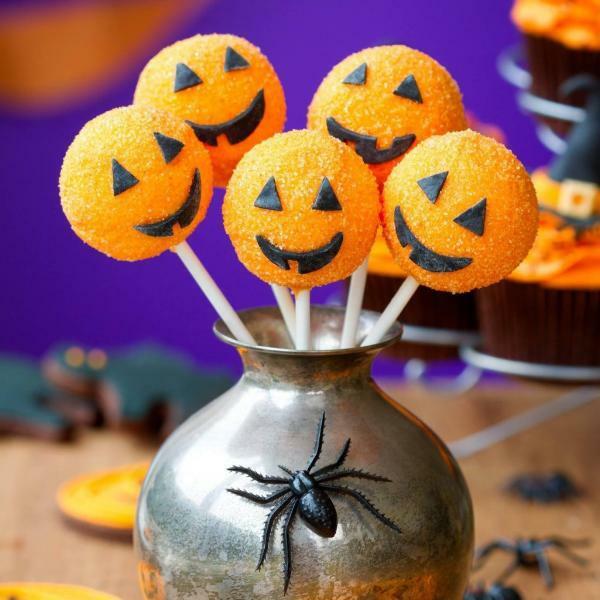 Our Halloween cake pops pack of ten are great for Halloween. Moist vanilla sponge dipped in white milk chocolate and drenched in orange sprinkles Yum! Freshly made to order using the finest ingredients. Each pumpkin cake pop is wrapped in cellophane with a bow and boxed together. This is a very special Halooween Pumpkin Cake Pops Gift loved by so many. Order and enjoy. The cake pops contains wheat, milk, soya and egg. All of our cake pops is produced in the same environment where there are nuts, wheat, milk and soya are prepared.